Hype Foundation, a company that's all about helping to connect sports tech startups with major companies and investors, held its latest Global Sports Innovation (SPIN) competition - and wearable tech was the big winner. That winner was Humon, the US-based startup we spoke to at the beginning of the year about its Hex wearable. Worn around the mid thigh area, the Hex is able to measure oxygen levels and is firmly aimed at elite athletes like cyclists and runners. It uses the data recorded in real-time to create a personal AI-powered coach and help users make improvements in their training. The Hex hasn't launched yet, but the $245 device is slated to start shipping before the end of 2017 and is currently available to pre-order from Humon's website. The competition, which was held in partnership with Asics, offered the winners the opportunity to be mentored by the sports giant in its global R&D centre with the potential of having its tech integrated into Asics products. In second place was Nix, who created a wearable hydration monitor that relies on a sweat-based biometric sensor. Designed for athletes, soldiers, and laborers, the Nix wearable promises to tell you when to drink, what to drink and how much to drink. 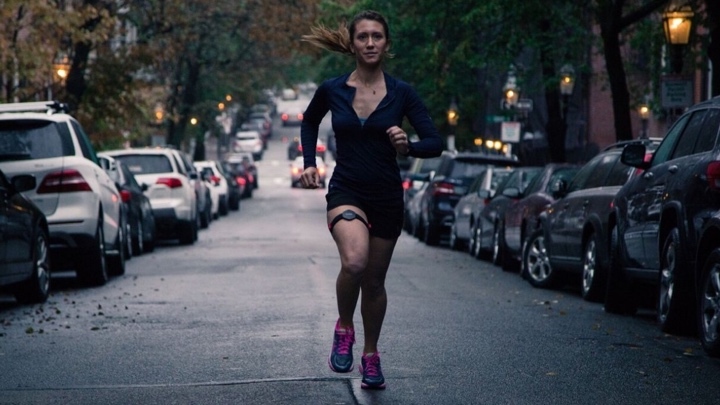 Third place went to illuminating apparel startup Luna Wear, with its clothing line that might be not smart or connected in the same way as Humon or Nix, but should help keep workout lovers visible at night.